Comment: Looking to install a wooden paddock style fence to in our back yard, with netting to keep our dog protected. Looking to keep this budget friendly, so also open to a chain link in the back portion which would be behind some trees. Comment: I have a Jack Russell I need to keep in my yard. Comment: I presently have a cedar fence that has fallen down and would like to price a plastic one. Litchfield Fence Contractors are rated 4.83 out of 5 based on 159 reviews of 12 pros. 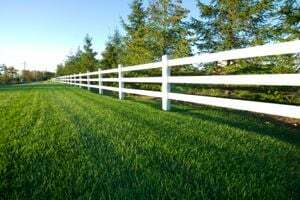 Not Looking for Fences Contractors in Litchfield, CT?